BERKELEY COUNTY, SC (WCSC) - Officials with the Goose Creek Police Department say they are continuing their search for a student who they say brought a gun to Stratford High School. 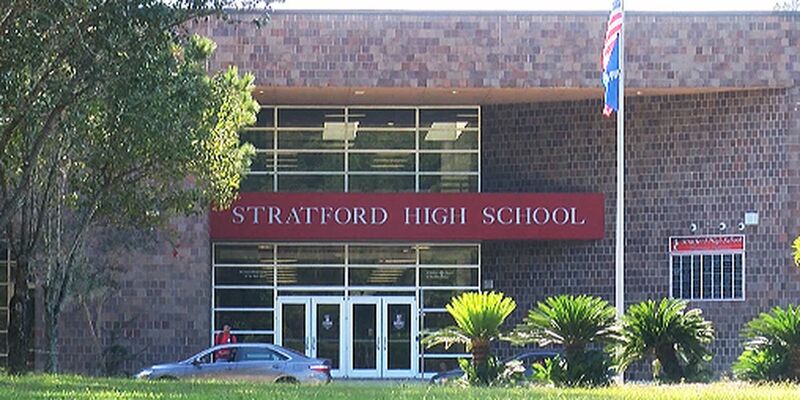 “There are no significant developments in the search for the 16 year old student that brought the firearm to Stratford High School last week,” GCPD officials said in a statement. According to police, multiple agencies are involved in the active efforts to locate him. Last Tuesday morning, police say a student ran away from campus after a loaded gun was found inside his bookbag. An SRO was notified by the sheriff’s office that a student may be armed with a gun from a recent break-in, and found the student and brought him to the office. A report states when a school administrator was called to conduct a search, the student ran from the school. A loaded gun was then found in the student’s bag, GCPD officials said. “We know this case had generated a great deal of interest for good reason,” police said on Tuesday. "We know that many questions have arisen about his identity, family situation, etc. We are not permitted to identify him nor answer many of your questions about his home, family, etc., because of governing law. We have every intention of informing you when he is in custody or if significant developments or concerns arise in the process."